In “Apollo 8: The Thrilling Story of the First Mission to the Moon,” author Jeffrey Kluger takes readers inside the capsule of the Apollo 8 mission, the first one to journey to the moon and back, which paved the way for the Apollo 11 mission less than seven months later. Kluger takes a fly-on-the-wall approach to the beginning of the American space race, showcasing the various men who would become astronauts. With the end of the 1960s rapidly approaching, the deadline unveiled by President John F. Kennedy to put a man on the moon by the end of the decade seemed a lost cause. Bold and dangerous decisions had to be made. Apollo 1 ended in tragedy when the three men inside the capsule perished in a fire during a test on the ground. That put off missions for a while, but when they resumed, the astronauts did nothing more than work in Earth’s orbit. When it came time for Apollo 8, the heads of NASA realized that if they were going to achieve Kennedy’s dream, they had to make a bold move. It was decided that Frank Borman, Jim Lovell and Bill Anders would make the first journey to the moon, orbiting it several times and photographing potential landing sites on the lunar surface. Every agonizing moment both prior to the mission and the mission itself unfolds in fascinating detail, and Kluger makes the reader more than just an observer while events transpire. 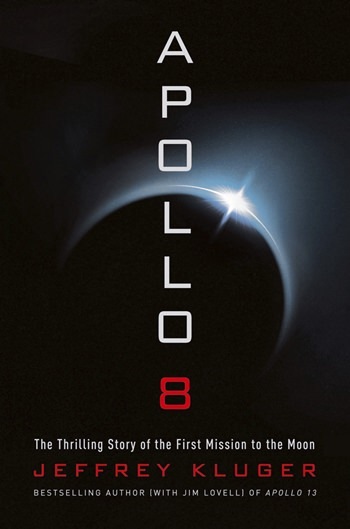 Those familiar with the early history of NASA and the Apollo missions will love “Apollo 8,” and those who were born in later years will discover a full understanding of a tumultuous time and the fascinating people who helped make a dream a reality.